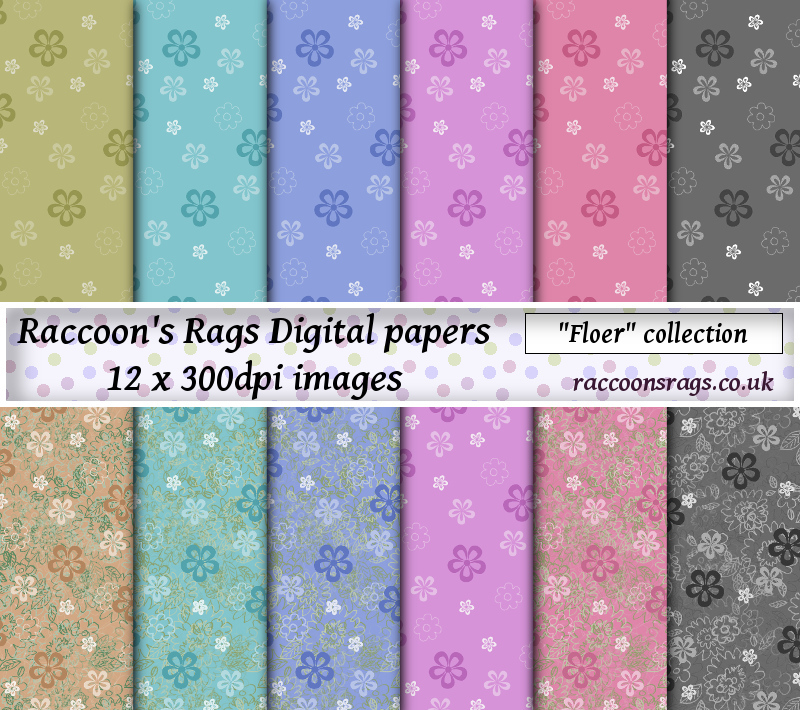 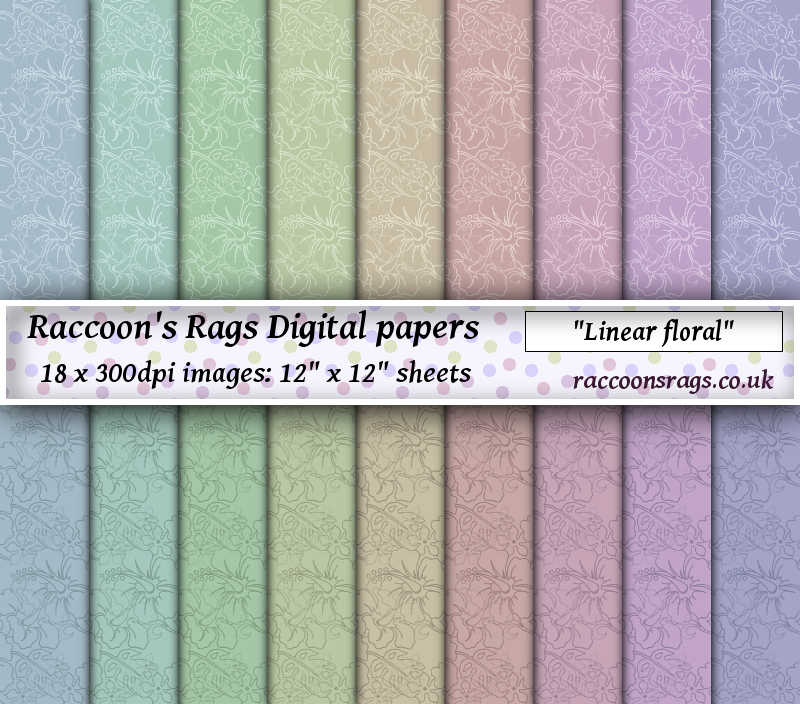 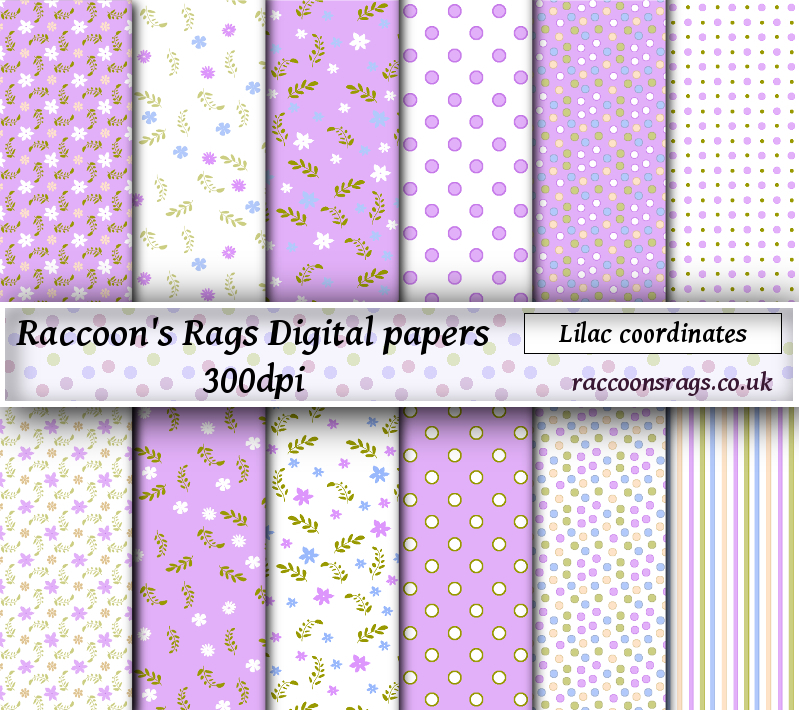 I wanted to wait until I had a few packages to upload, and now I'm happy to say my digital papers are now available. 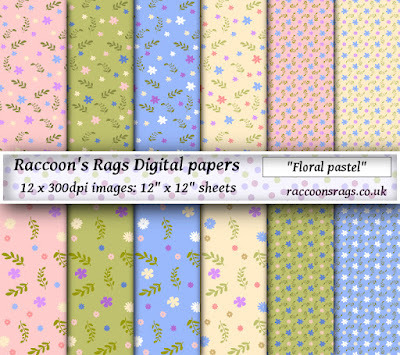 These are in high quality JPG format for Etsy and through the blog. 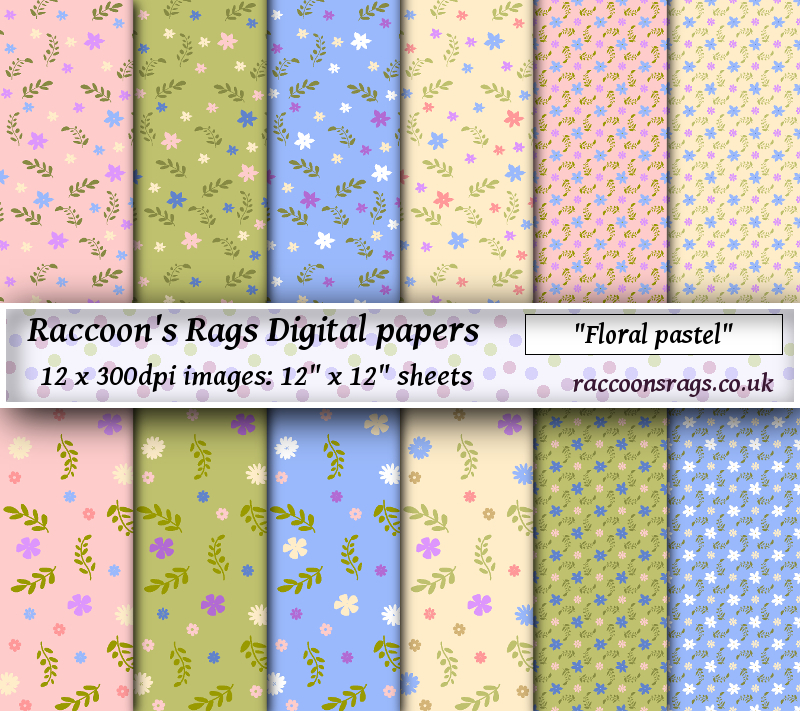 For Craftsy, they are in high quality PDF format, as this is the only format Craftsy will accept. 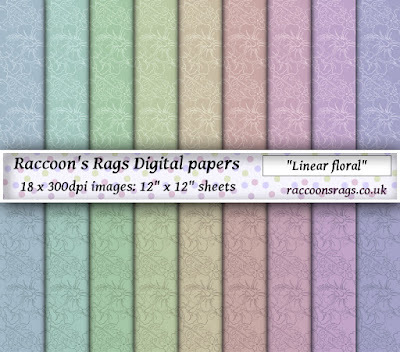 All the papers come as 300dpi images, all 12" x 12" square, which seems to be the standard size being offered by digital paper sellers all over the Internets. 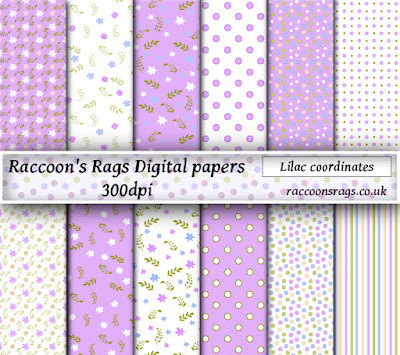 I love pattern design, it's what I studies at art college, many moons ago, and I've come up with some pretty colour schemes. 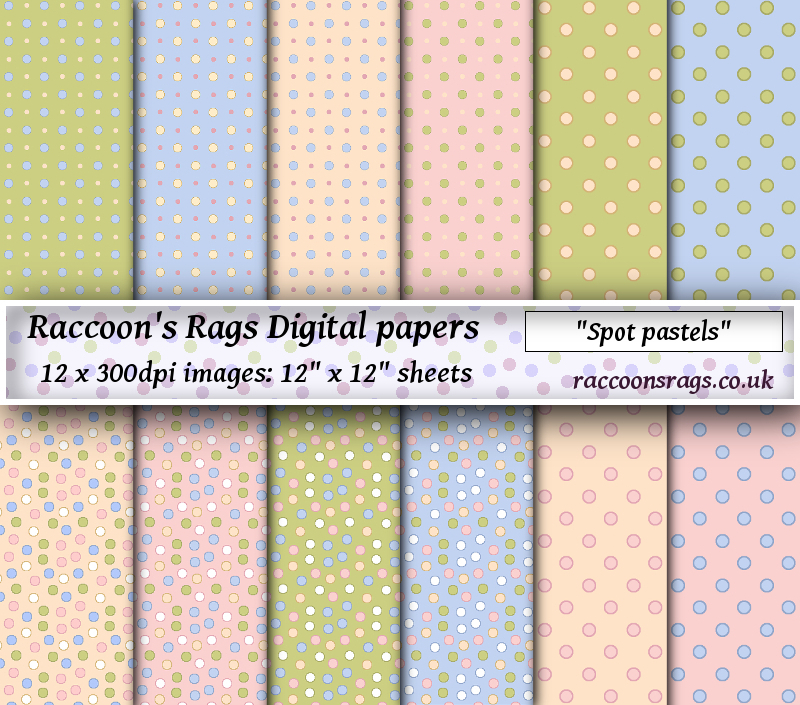 People can use these for their online artwork, such as websites, blog backgrounds, etc. 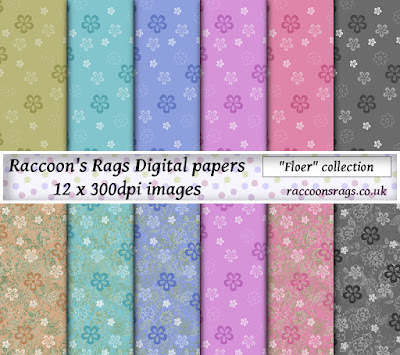 Or they can print out their papers to use in art journals, mixed media pictures, collage, dolls house wallpapers, crafts, cards, gift tags, all sorts of papercraft. 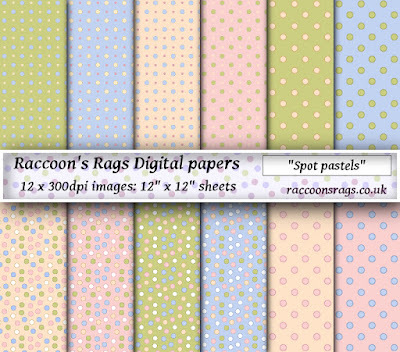 There will be plenty more in the future, because I like to unwind from a days sewing by making pretty patterns on my spiffy new computer.